Correction: An earlier version of this article stated that the church has been closed since July 2016. We have been informed that the church has been in use since the fire occurred. CORTLAND, N.Y. — The Grace and Holy Spirit Church plans to celebrate the rededication of their building, which was damaged in a July 2016 fire. 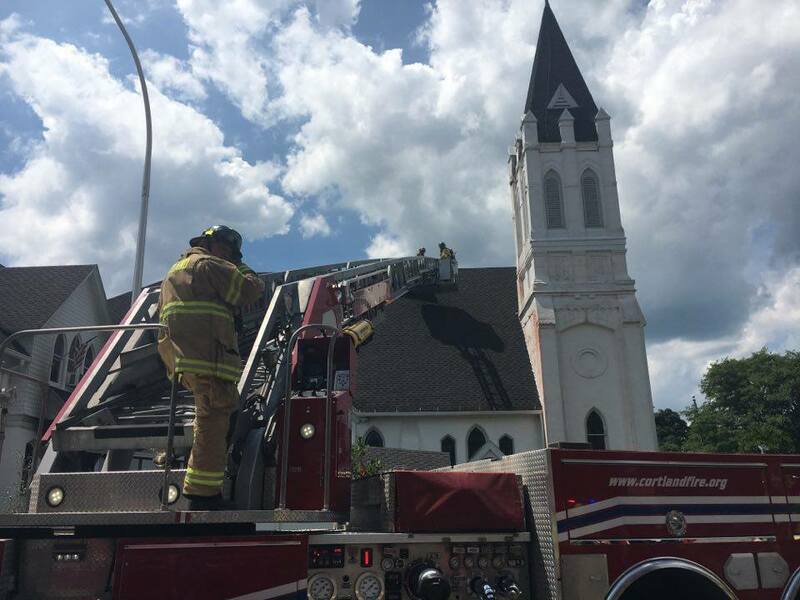 The Lutheran/Episcopal church was damaged in an electrical fire on July 29, 2016. The celebration will take place at 10 a.m. Sunday in the newly restored, renovated, and updated church at 13 Court Street. The church has been a local landmark since 1887. Services are currently led by the Rev. Peter Williams on Wednesdays and Sundays. It is also home to Cortland Loaves & Fishes, a soup kitchen serving free meals six days a week, and The Arts at Grace, a free concert series. Sunday’s rededication ceremony will be led by the Right Rev. Dr. DeDe Duncan-Probe, Bishop of the Episcopal Diocese of Central New York; and the Rev. Peter Williams, pastor of Grace & Holy Spirit Church.